Paloma's Nest has been named one of the "Best Online Shopping Sites" by InStyle Magazine, and in their newest hand-crafted line of their signature ring bearer bowls, they now come in different languages such as Hebrew, Spanish, Chinese and French. 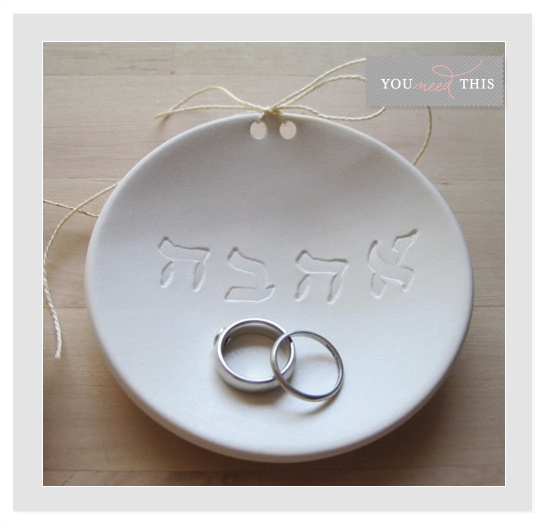 These ceramic dishes are carefully made with timeless elegance in mind, and are quickly taking over the old tradition of a ring bearer pillow. 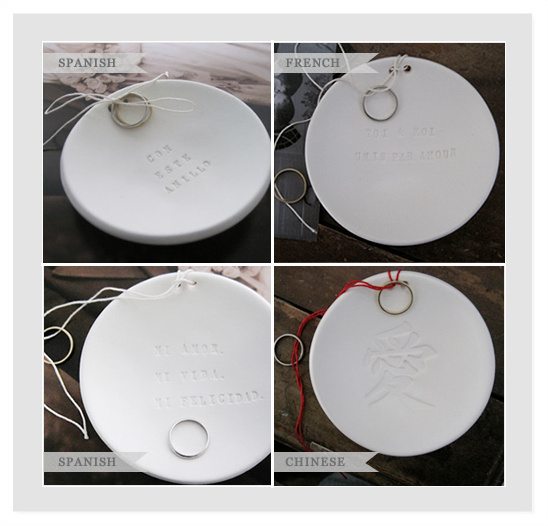 We just adore everything by Paloma's Nest and these keepsakes are sure to be a special family heirloom.